Rick Ruhl, the lead singer for Every Mother’s Nightmare was my guest on the Friday NI Rocks Show a few weeks ago. 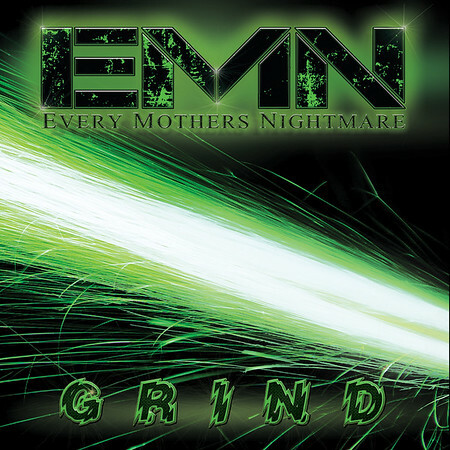 We chatted about “Grind”, the new album from Every Mother’s Nightmare which is released on 6th October through HighVol Music. This is the sixth album from the band, but the first in fifteen years! Whether you remember the band from their heyday or not, “Grind” is well worth checking out. We played four tracks from the album alongside the interview with Rick on the Friday NI Rocks Show on 15th September. Tennessee based Every Mother’s Nightmare are probably best known for the two albums released through Arista Records – their self-titled debut in 1990 and “Wake Up Screaming” in 1993 . They released another three albums between 2000 and 2002 on the Perris label. The band never really went away and in 2015 released an 5 track EP called “Grind”. That EP forms the core of the new album, along with three new studio tracks and three live tracks. The Every Mother’s Nightmare line-up for the album is Rick Ruhl on vocals, Travis "Gunner" Butler and John Guttery on guitars, Lonnie Hammer on drums and Troy Fleming on bass. However, the band recently announced that original drummer Jim Phipps would be returning.